At a black hole, Albert Einstein’s theory of gravity apparently clashes with quantum physics, but that conflict could be solved if the Universe were a holographic projection. 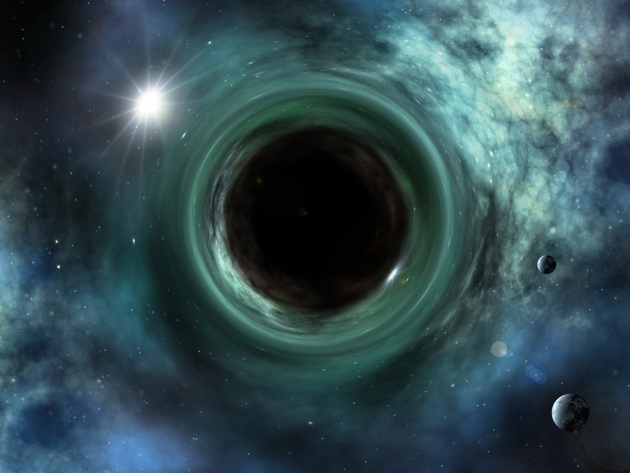 In one paper2, Hyakutake computes the internal energy of a black hole, the position of its event horizon (the boundary between the black hole and the rest of the Universe), its entropy and other properties based on the predictions of string theory as well as the effects of so-called virtual particles that continuously pop into and out of existence. In the other3, he and his collaborators calculate the internal energy of the corresponding lower-dimensional cosmos with no gravity. The two computer calculations match.